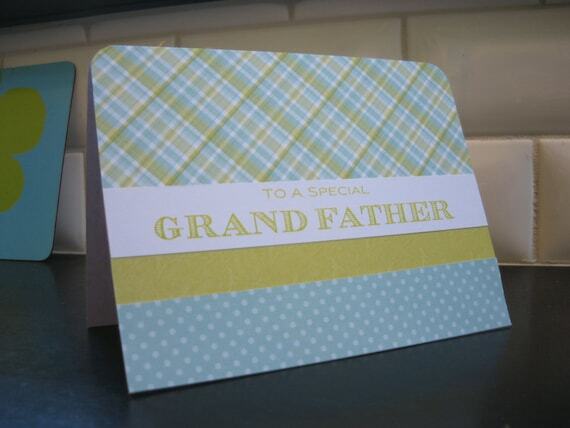 Send your grandfather some love with this simple but sophisticated card. 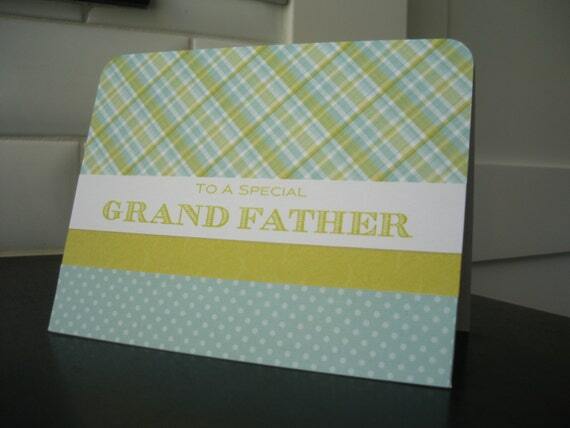 It could be used for a father's day card, birthday card, thank you card or for any occasion you just want to tell him how great he is. 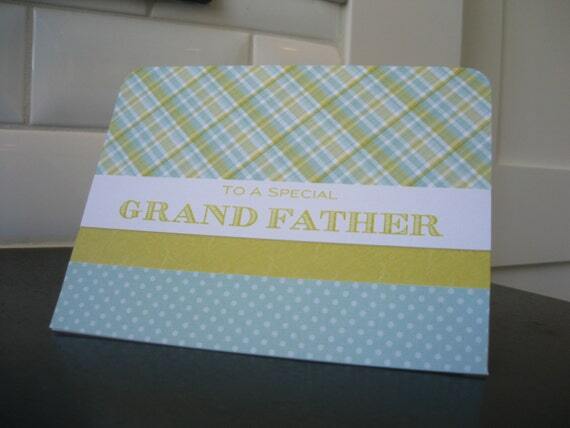 Card is white and has been covered in patterned papers. 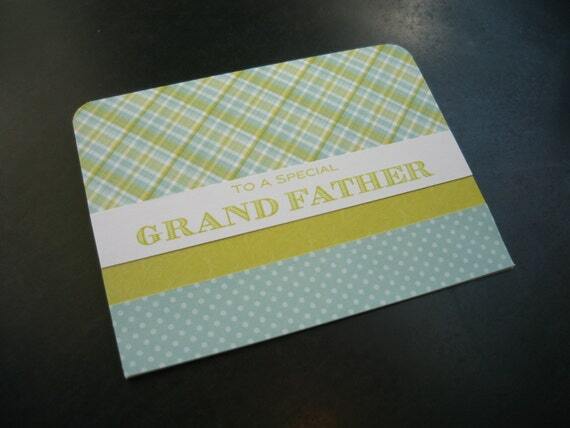 "To a special grandfather" has been stamped in green on a white mat. Card is white and blank inside. It comes with a white envelope. Card measures 4.25 X 5.5 inches. All my cards are made in a smoke free environment on acid and lignin free materials.